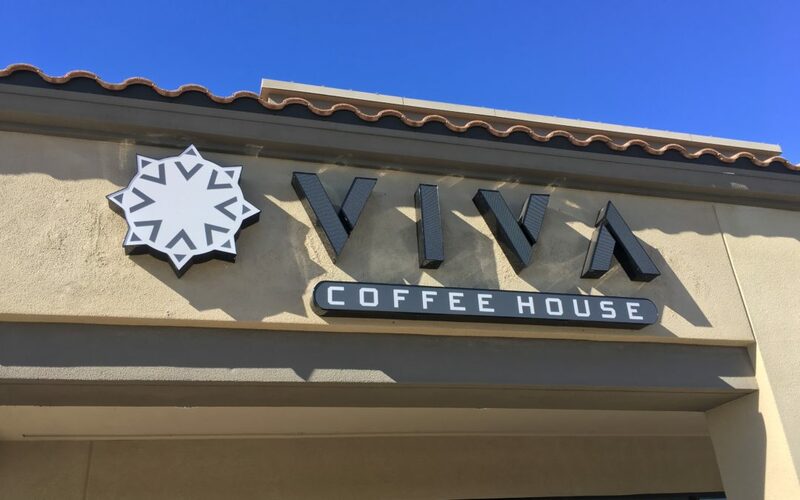 Viva Coffee Shop in Southern Tucson is the newest coffee shop in the Rita Ranch area, serving up the best espresso in the area, this shop is one you defiantly want to call your hangout. Viva is the dream come true for the owners, Andrea and Kelly. They settled from Bend, OR and were looking for some outstanding coffee or espresso in their new home. They couldn’t find a coffee shop close to them, the closet one is at least 30 minutes away. So, after some careful consideration, they decided to be part of the solution, and start their own coffee shop. Viva Coffee is everything you need in a coffee shop; excellent coffee and espresso roasted locally in Tucson (Presta Coffee), that is served up just so. Fresh baked goods, that are really yummy and go quite well with espresso. But the most important part is the quality of customer service, and the relaxed atmosphere. There is plenty of comfortable seating, the lobby is not jammed packed, but spacious. There is a fun kid area that is perfect without being a distraction. Not to mention a wonderful outdoor seating area with easy access for pedestrians, and cyclists alike. Parking is not an issue, making it refreshing to pull up and not have to worry about parking. 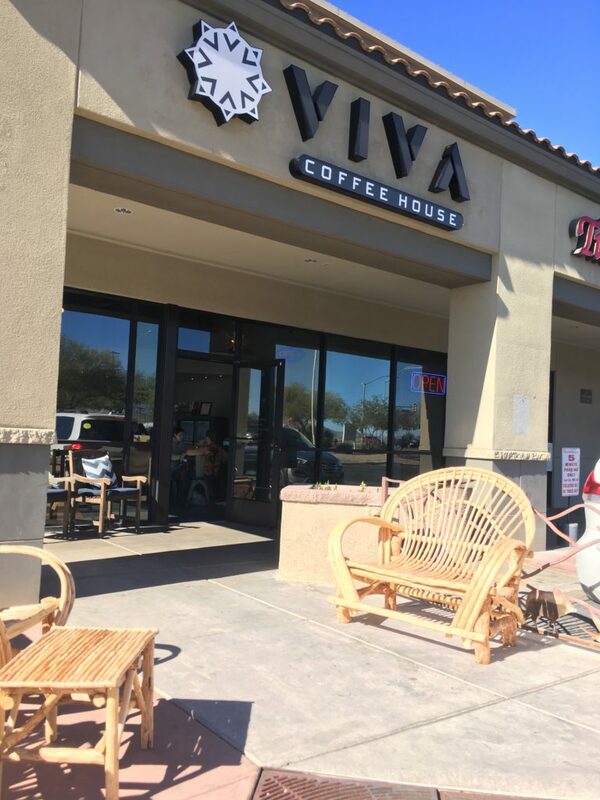 Viva is already becoming a community hub, a place to meet friends, and enjoy a cup. Or if you like to be by yourself and have some quite time this is also your place. Viva is not loud, like some other coffee shops or cafés are, but a space of fellowship for coffee drinkers. 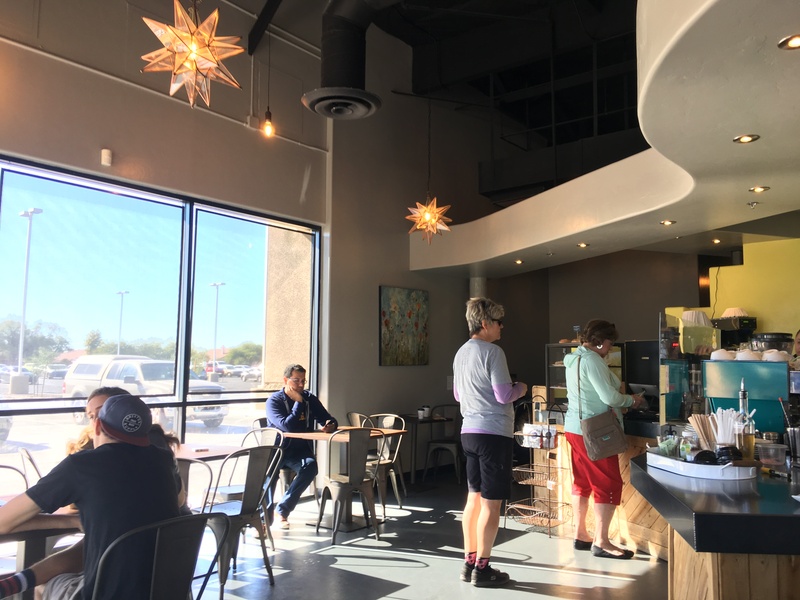 Viva is a wonderful oasis in a desert of independently owned coffee shops in Southern Tucson. With Viva there the landscape just got better.